On the eve of the annual Portsmouth Invitational Tournament that showcases some of the top graduating seniors in the NCAA two Canadians will be suiting up for the week long event: Baylor’s Kenny Chery and Stanford’s Stefan Nastic. The PIT, though maybe not featuring the best Draft eligible seniors (notice no potential first round seniors on the list), it does still have some of the better four-year players. Usually used as a jumping point to a second round spot or an overseas contract this is still one serious event to be a part of. Both Chery and Nastic, playing for teams Sales Systems, Ltd and Portsmouth Partnership respectively, are definitely worthy of the nods to be a part of this. They were both key members of their respective teams all season: In Chery’s case he was voted 2nd Team All Big 12 while Nastic was honorable mention All PAC-12 on his way to helping Stanford win the National Invitational Tournament. Though unlikely to be selected in the June NBA Draft this is definitely an audition of sorts for potential employers across the waters. Before that though, this could be their way into a team workout or two and potentially slide into a summer league spot after that. I’d expect them both to show well in Portsmouth. Between the two of them, I think this will play more to Chery’s strengths as a quick player since there will likely be a fast pace for most of the games. Chery will be given a little more offensive freedom and a green light to create on the fly outside of a tightly structured offense. As for Nastic, he’ll be able to show that he can play the up-tempo game with an event like this not really favoring the back-to-the-basket big men. He is mobile and having played with graduating lightning bolt teammate Chasson Randle at Stanford (who coincidentally is not attending the event) this will not be a big change. I think Nastic could surprise some scouts with how well he can play in this setting and should be allowed to show more of his perimeter game. Of course he’ll also be able to show post game since there will not be many true bigs that will be operating with his skill. The biggest test for both Chery and Nastic will be performing on back-to-back-to-back days since teams play everyday of the tournament. All teams are playing with rosters of eight players which means a good amount of minutes to go around. Wear and tear from the season leading up to this tournament will need to be played through. This may be their only shot at impressing pro scouts before the NBA Draft Combines so being able to play through a FIBA like format will be key for both players. The only glaring thing for me, though, is the absence of seniors Daniel Mullings and Maurice Walker. Mullings, the Western Athletic Conference pre-season player of the year by the way, earned a conference first team selection despite missing a good chunk of the season with an injury eventually leading New Mexico St to the NCAA Tournament. I would have thought that his season, and career leading up to it, would have warranted an invite. It’s a shame he won’t be at the event especially since this could have been a real jumping off point for him to a pro career. Walker on the other hand may not have had as strong a season as Mullings but I thought that his size and playing on a high-major program may get him an invite. He made giant leaps in his physical condition over last year which led to him having some big games throughout the season. Though it may have been an outside shot, I thought a reasonable one. At any rate, we’ll we checking in to see how Chery and Nastic fair over the next five days. Stay tuned here for the updates. 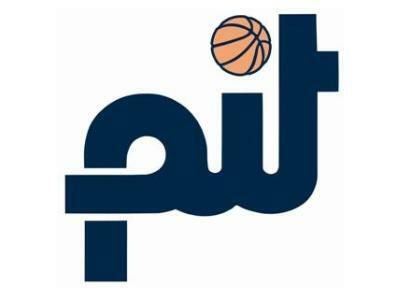 UPDATE: Maurice Walker, as it was just pointed out by our reader Rick below, was added to the PIT player pool and will be playing on the Roger Brown team. Good for Big Mo! This will be a great starting point for his post college playing career. He wasn’t there last night but there can always be additions and deletions to the rosters as players and agents decide on best paths to contracts so there may be a chance still for Daniel Mullings to get on a squad (but slim right now). Carleton Defeats Laurentian, Advances to OUA Final Four, Despite Pasquale Shooting Clinic!